It’s not a trip for the faint-hearted, nor for those who like to travel in a hurry. 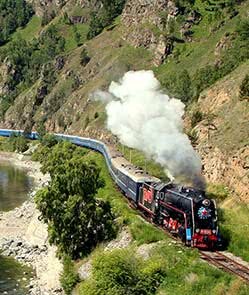 But covering the great Trans-Siberian Railway is one of the most memorable of journeys on the planet. 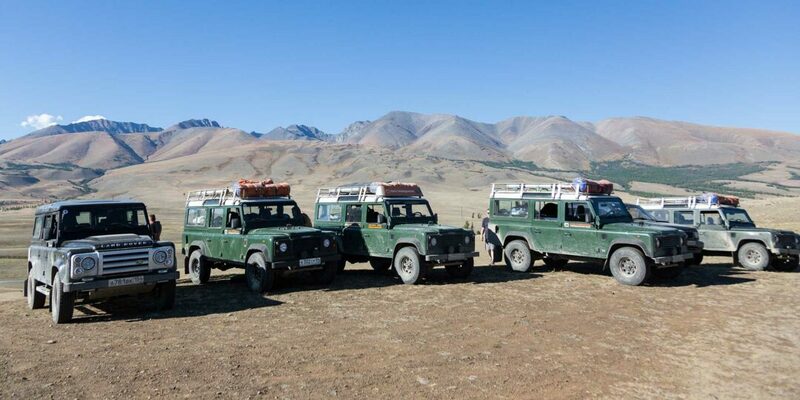 This two-week itinerary has been handcrafted by our local experts, allowing you to experience the epic overland crossing in all its glory. 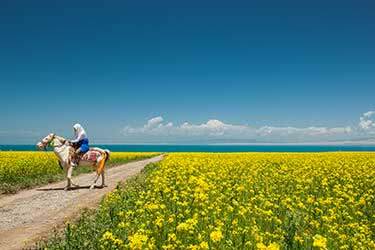 Starting in Russia’s capital of Moscow, you’ll cover no less than 3,500 miles, journeying into the heart of Siberia, through to Mongolia and eventually ending up in Beijing where the 16-day trip finishes. The bulk of the action, however, is in Russia, with stops in Yekaterinburg, Novosibirsk, Irkutsk, Listvyanka and Ulan-Ude along the way. Local tour guides will show you around, visiting the best of what each city has to offer in terms of culture and history. 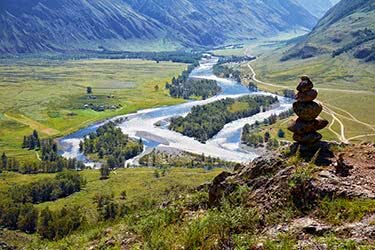 There’s also time to explore the pristine waters and rugged mountain terrain surrounding Lake Baikal, Siberia’s most picturesque region. Kick-off this 14-day expedition in Russia’s capital of Moscow. 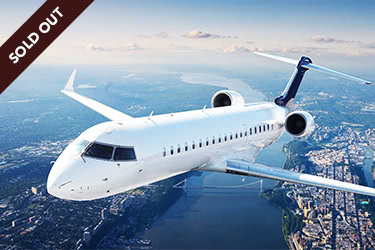 Upon arrival, the first class guidance and service will begin as you’re greeted in the city and taken to the luxurious Four Seasons or Hyatt Ararat hotel. The evening is dedicated for free time; it might be wise to get an early night’s sleep in preparation for the two-week journey starting tomorrow. For first-time visitors, witnessing Moscow’s famed Kremlin and iconic Red Square is simply a must. 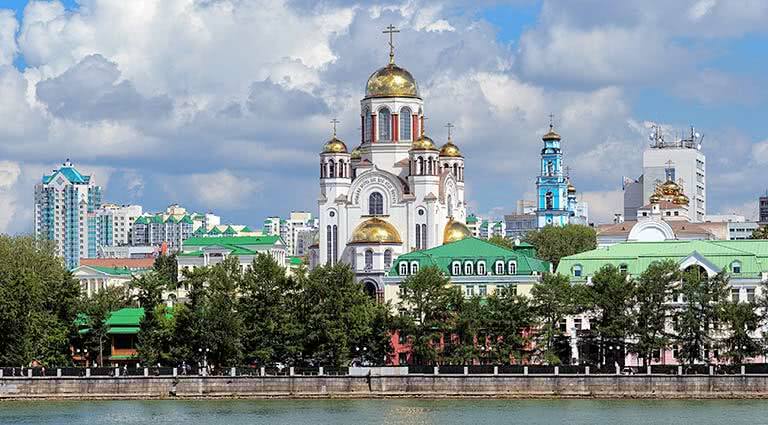 Spend the day taking in iconic sites such as the Cathedral of Christ the Savoir, Red Square, Alexander Garden, Moscow underground and pedestrian Arbat Street. Spend your morning at leisure and make your way to the train station at noon. Stop by a grocery store to purchase snacks and beverages for the train ride. 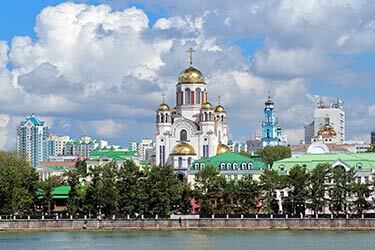 Embark on your journey in the late afternoon for Yekaterinburg. Wake up in your comfy carriage as you rattle past the majestic Russian countryside on your way to Yekaterinburg. 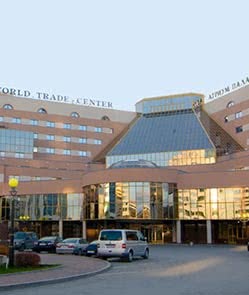 Most of the day will be spent on the tracks, but an excellent lunch is served on board the train, and you’ll arrive in the large city of Yekaterinburg in good time to check in to your hotel - the Hyatt Regency or Atrium Palace - and have dinner. 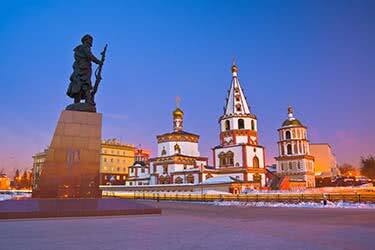 Rise and shine early for a full day of touring around Russia’s fourth largest city, Yekaterinburg. Following breakfast, head out to all the main sights such as the ‘Historical Square’, a wooden dam that was home to the first iron-making plant, Lenin Monument and see all the old industrial buildings lining the quaint city streets. Stop at a local grocery store to stock up on snacks before returning for an evening on the train. It’s 1,000 miles from Yekaterinburg to Novosibirsk, so the best part of this fifth day is spent on the train in order to get there. Fortunately, the evolving Siberian landscape is nothing short of spectacular, and the train has ample space to move around and mingle with fellow passengers. 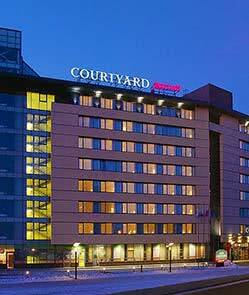 Arrive in the evening and check-in to the four-star Novosibirsk Hotel. You’ve come a long way to reach Novosibirsk, so better make the most of your time here with a full day’s tour to all of the most interesting attractions in and around the city. The itinerary is flexible, and options include excursions out of town to the majestic Memorial Cathedral surrounded by a centuries-old pine forest. 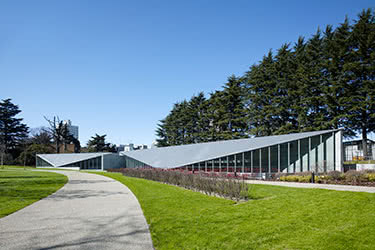 Alternatively, head to Obelisk – the border of Europe and Asia - or take on full city tour. Head back to the train and embark for Irkutsk in the evening. Half-way through this trip across Siberia and it’s time to spend a full day on board the famous train. The distance from Novosibirsk to Irkutsk is almost 1,200 miles, but the journey across the deserted Russian landscape makes the long journey seem well worth it. 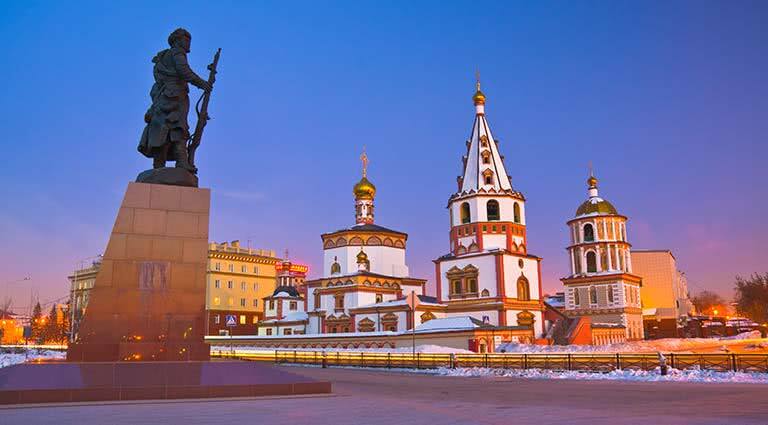 After a morning arrival in the city of Irkutsk, take some time to refresh before heading off on a fascinating city tour. The expert guide will take you to all the major sites around Lake Baikal, including a visit to the famed Decemberists’ Museum. 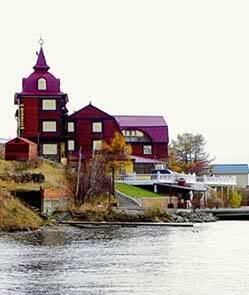 Take an hour long boat trip on the world's deepest freshwater lake and enjoy a lunch of fresh Baikal fish specialties. Spend the evening in a wooden chalet in Listvyanka and fall asleep the the sound of the water. 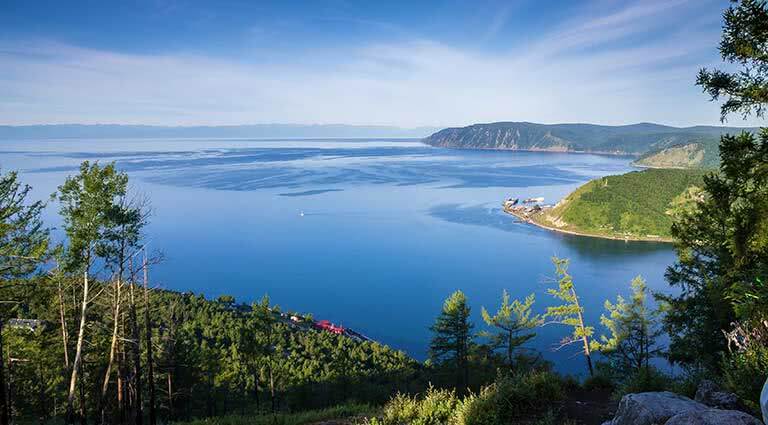 Wake up at your leisure and enjoy the views of Lake Baikal. 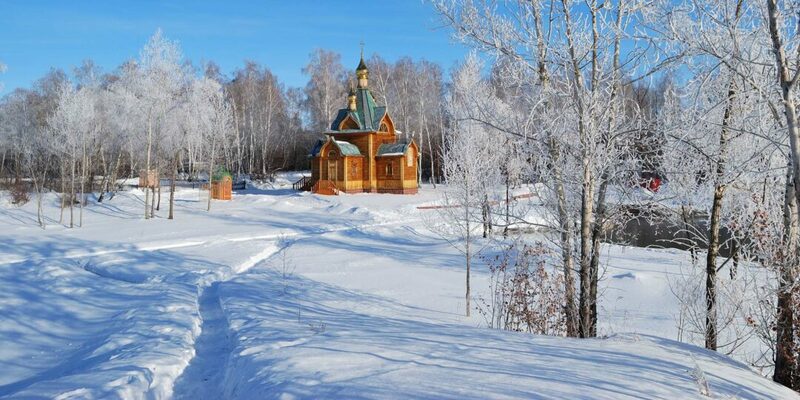 In the afternoon, transfer to Irkutsk where you will embark on a tour to see the remarkable 'wood lace' houses and an old quarter with reconstructed buildings from the 19-20th centuries. Overnight at a hotel in the city. 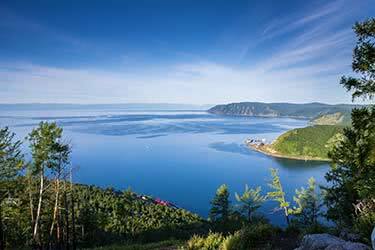 Hop back on the train this morning and enjoy the most picturesque part of the journey, rolling by Lake Baikal. In the afternoon, arrive in the city of Ulan-Ude, the capital of Buryatia. Transfer to the local hotel and freshen up. This evening you will join a Buryatian family for a traditional dinner, consisting of boozy meat dumplings. You'll even join in preparing and cooking the dumplings. 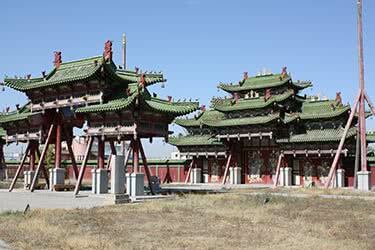 Today embark on a tour to the Buddhist temple Ivolginski datsan, the center of Buddhism in Russia. 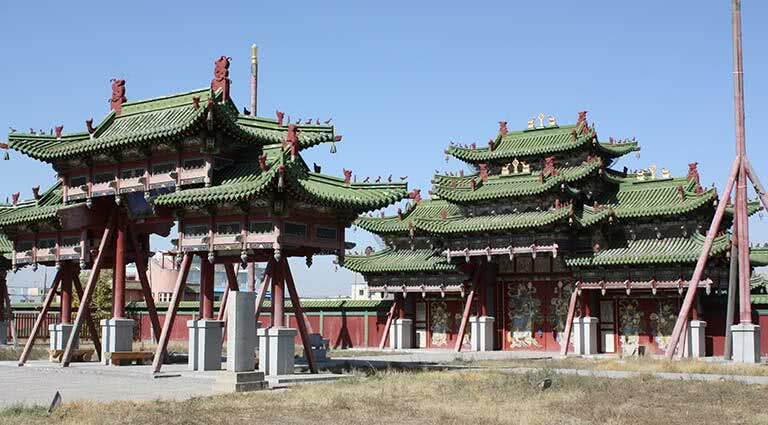 The Buddhist complex includes temples and a university. In the afternoon, travel out to the Old Believeres village of Tarbagati, along the river Selenga on the picturesque Russian federal highway M55. Enjoy a Russian cuisine lunch in a traditional wooden house of a local family. The Old Believers are a branch of Orthodox Russians exiled after a church reform. After lunch, participate in the folk games and listen to their unique polyphonic singing, which was designated a UNESCO wolrd cultural heritage. Return to Ulan-Ude to explore the city before another evening at the city hotel. 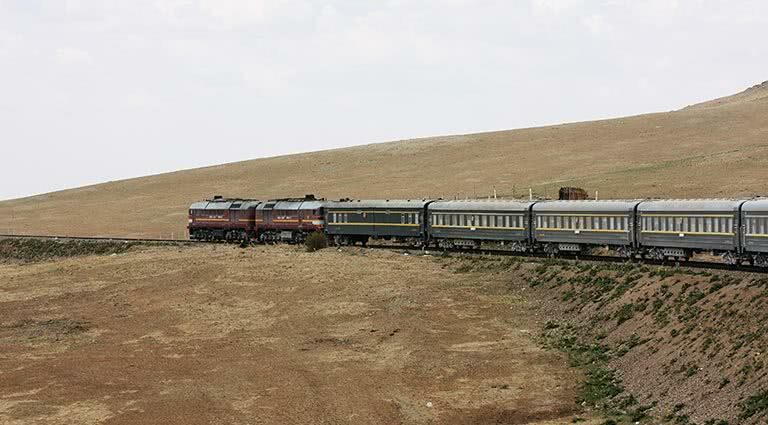 Back to the train in the morning – this time it’s on to Ulaanbaatar across the Russian-Mongolian border. It is a day's journey. Be sure to take snacks on this part of the ride, as the train on this section may not have a restaurant carriage. 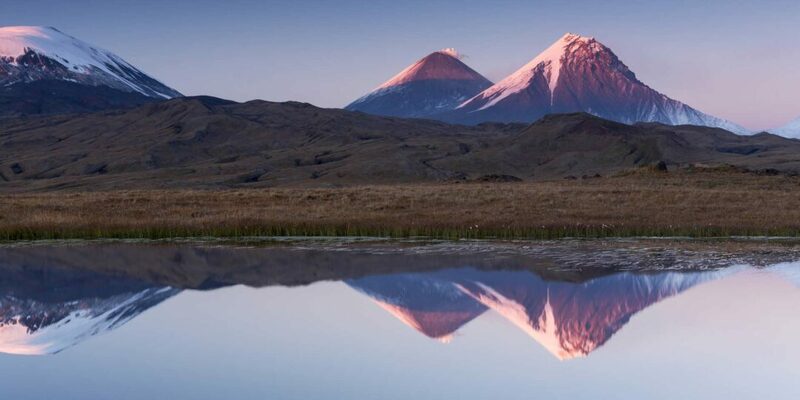 Roll into Ulaanbaatar, the capital and largest city of Mongolia, and immediately head to a nomadic camp to experience authentic Mongolian culture. Observe a traditional Mongolian family's daily life chorse such as making diary products, milking yaks, making felt, tanning hides, and singing folk songs. Return to the capital in the afternoon to explore the city. 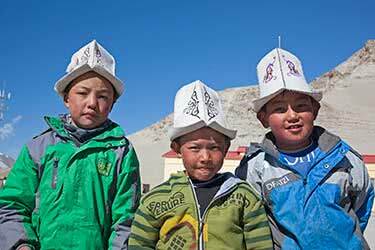 Highlights include a visit to Sukhbaatar Square, Zaisan Hill and Gandan Monastery. Try Mongolian barbeque for dinner. The two-week long trip is coming to an end, but there’s still time to squeeze in one more country: China. 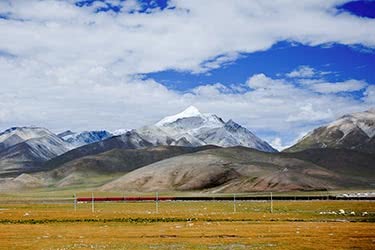 Transfer to the station in the morning and catch the onward train to Beijing departing at 06.30 a.m. A full day and overnight in the train is needed to cross between the countries, but the scenery along the way is amongst the most spectacular on the entire trip. After crossing two continents, three countries and nearly 3,500 miles, you will arrive in Beijing in the mid-afternoon of this 16th day. This time marks the end of the scheduled services of this epic expedition, and guests are free to explore the city or head on to their next destination of choice for the remainder of the day. 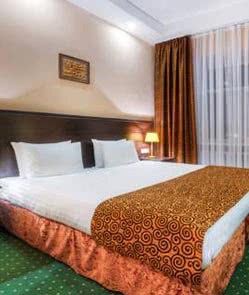 Perfect for business guests and first-time visitors wanting to get acquainted with the city, the smart Mergen Bator Hotel provides a range of modern rooms and on-site facilities. Just a five-minute walk from the city center of Ulan Ude, the hotel also has a sizeable swimming pool, spa, fitness center, restaurant, and guests can enjoy free access to the WiFi throughout. The rooms here are also well-equipped with a mini-fridge, kettle, flat-screen TV, air conditioning, and sizeable en-suite bathrooms. Guests can easily reach some of the best attractions in the city from the doors of the hotel; both Sovetov Square and Ballet and Opera Theatre are a short walk away, while Baykal Airport is just a 20-minute drive. 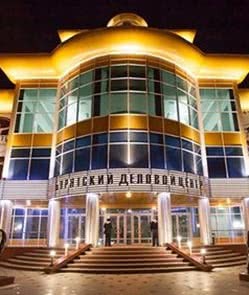 This four-star hotel is well-located for first-time visitors to Ulan Ude, just a two-minute walk from the city’s famed Philharmonic Hall and the Central Square. In addition to a good range of guestrooms and suites, which all come kitted-out with the latest facilities, Hotel Baikal Plaza also offers several international restaurants, a fitness center with sauna, and free WiFi access is available throughout. The choice of standard single, double, twin and deluxe doubles here all come with air conditioning, cable television, a refrigerator and a modern en-suite bathroom. 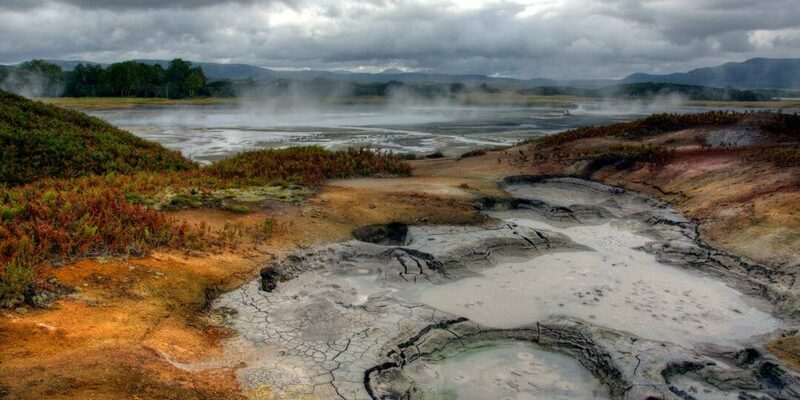 The surrounding area is home to an excellent range of local and international-style shops, restaurants and bars, while Ulan Ude Train Station is a mere seven-minute drive from the hotel. 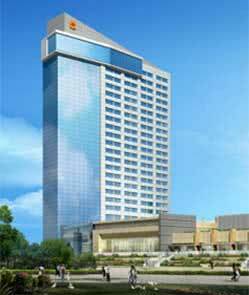 In the heart of the capital of Mongolia, Shangri-La Ulaanbaatar is an urban oasis, ready to pamper business and leisure guests alike with its spacious suites, exquisite restaurants and expansive health club. 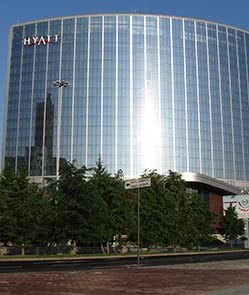 The hotel features nearly 300 rooms and suites, each with an impressive vista over downtown Ulaanbaatar, and is in within walking distance of the city’s best shops, restaurants, and historical sights. Fusing contemporary and traditional design, the hotel also offers much for guests to do within its walls, from enjoying a meal and culinary show in the open-kitchen Café Park to enjoying a steam bath and jacuzzi in the luxurious health club. Actually a modern-day replica of Moscow’s classic Hotel Moskva which first opened in 1935, this five-star hotel provides a range of luxurious rooms and suites, numerous dining and entertainment options, not forgetting a first-class spa and spacious indoor swimming pool. The total of 180 rooms here comprise 139 guestrooms, 39 suites, one Presidential Suite and a final Royal Suite reserved only for the very wealthy. The standard double rooms here start from a more-than spacious 431-square-feet, coming fully furnished with a range of technology and facilities. The lavish indoor pool offers plenty of room to do laps with over 1,500-square-feet of space, and a visit to Four Season’s ‘Qudrum’ Italian restaurant is simply a must. A daily buffet breakfast is also served every morning at ‘Bystro’ restaurant. 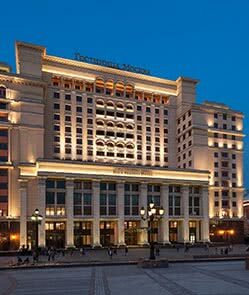 Well placed just five minutes from Moscow’s famous Red Square and popular shopping areas, this five-star hotel belongs to an international brand that guests can trust. Renovated only in 2012, the range of 206 rooms and suites here come warmly decorated and elegantly designed, many offering splendid city views. The famous architect Tony Chi was behind the renovations, and the classy look extends from the guest rooms throughout the hotel’s impressive reception area, dining venues and leisure facilities. 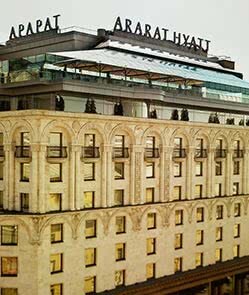 Ararat Park Hyatt has a sizeable gym, a luxurious spa and steamy Turkish bath, and guests can also take full advantage of the huge indoor pool – either in it - or beside it at the juice bar. 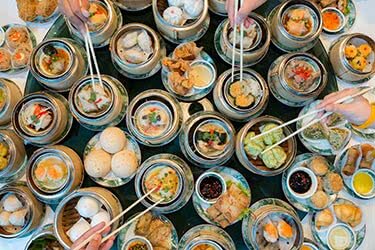 As for dining options, you’ll find a wide range of European cuisine alongside local specialties, or even Japanese flavors at the hotel’s sushi bar. Located in the city center, the huge range of 293 smoke-free rooms come well-appointed with large comfy beds, cable TV, air conditioning, spacious en suite bathrooms and a separate seating areas. Yekaterinburg’s Hyatt Regency boasts no less than two restaurants and three different bars for guests to relax in, and there’s also an impressive indoor swimming pool, health club, 24-hour reception desk and spa. 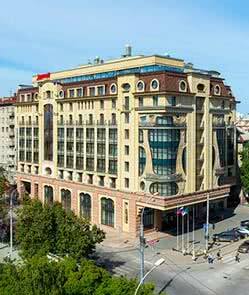 Well-located near some of the city’s key attractions, the prominent 1905 Square and Ural State Conservatory are a short walk away, and the immediate neighborhood has plenty of bars, restaurants and shops for those looking to venture away from the hotel. The Atrium Palace building, home to one of the city’s financial centers and an impressive solarium, is also home to a first-class hotel with over 130 rooms. Whether you opt to stay in one of the double or twin rooms here, you’ll be guaranteed comfort and convenience with free WiFi access, air conditioning, cable TV and spacious en-suite bathrooms which come with plenty of facilities and toiletries. Guests can also enjoy a massage on-site, relax in the hotel’s sauna or hit the well-equipped gym for a workout. Although there are many restaurants, bars and shops walking distance away from this city center hotel, Atrium Palace does have a restaurant of its own, ‘La Ronde’, which serves local and international dishes throughout the day. There is also an additional café specializing in Austro-Hungarian cuisine. 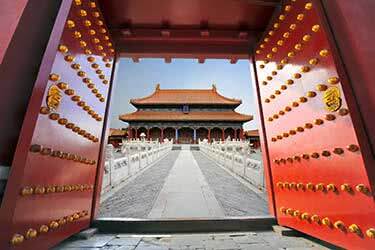 Get a real feel for China on this luxury 10-day tour that whisks you through Beijing, Xian, Shanghai, and Hangzhou. 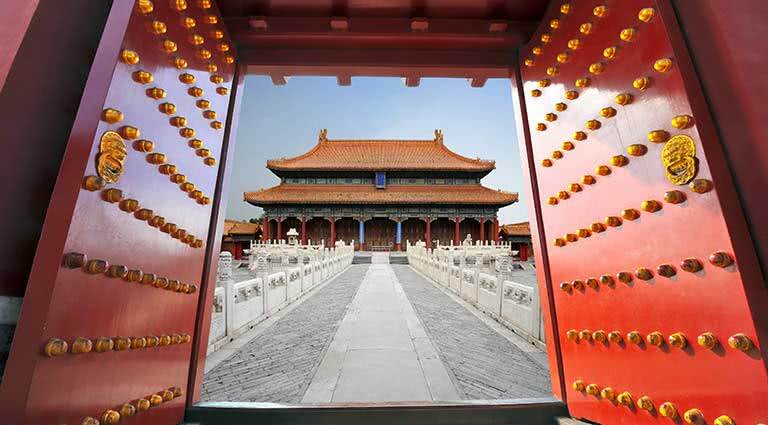 You’ll stay at some of the country’s most prestigious hotels, while taking in key sights, from the Temple of Heaven, to the Great Wall of China, to the Terracotta Warriors, Yu Gardens, and more. 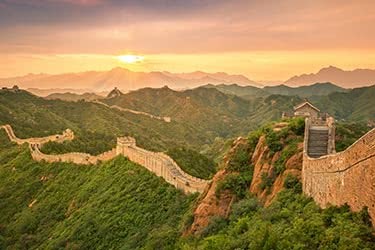 Stroll along one of the world’s wonders, the Great Wall of China, when you embark on this 8-day luxury train journey through Beijing and Lhasa. 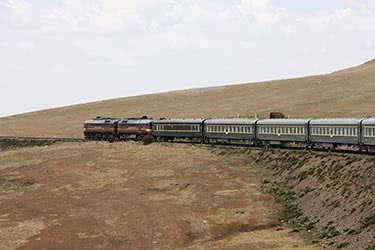 It’s a step back in time with ancient sites and breathtaking natural features, and a thrilling trip along the world’s highest train journey to the Tibetan Plateau. 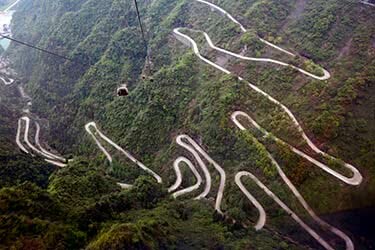 Journey through China’s most picturesque landscapes on this exciting 13-day luxury journey. You’ll hike through the stunning Yellow Mountain and Jiuzhaigou National Park, tour Tibetan villages of the Zharu Valley, and play with Pandas in Chengdu, while staying at luxury hotels like Amanfayun or Banyan Tree. 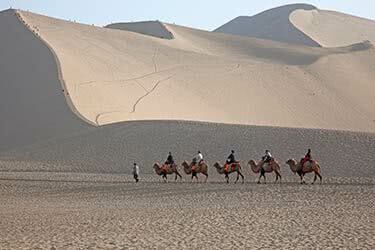 Journey across China’s ancient trade route, meandering from Shanghai, to Xian, Dunhuang, Urumqi, and Kashgar. You’ll stay in hotels fit for aristocrats as you learn about what life was like for traders at sites like the Bund, the Terracotta Warriors, the City of Sands, White Horse Pagoda, the Grand Bazaar, and more. 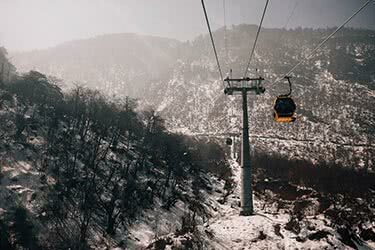 Immerse yourself in the different faces of China in this exciting journey of cities and slopes. 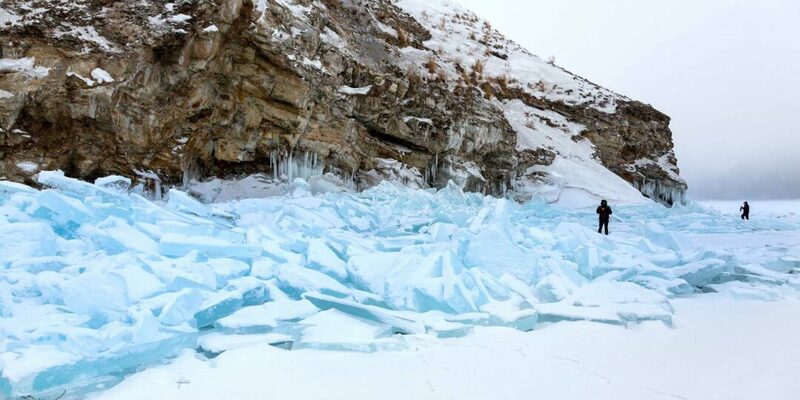 Split your time in this magnificent country between the bustling metropolis of downtown Beijing and the peaceful winter wonderlands offered by the area’s best ski resorts. 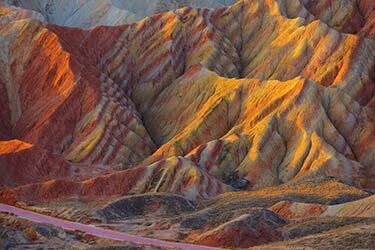 Travel through the remote, stunning corners of Northwest China on this colorful journey that will take you from Beijing to undiscovered Zhangye Danxia and Jiayuguan. 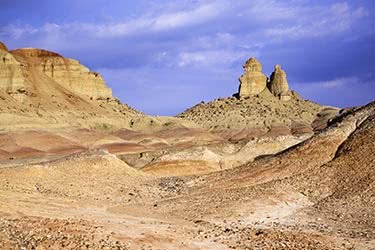 Your camera will be challenged to capture the real life epic beauty at sites like Jiayuguan Fortress, the Danxia landforms, Bingguo Rock area, and more. 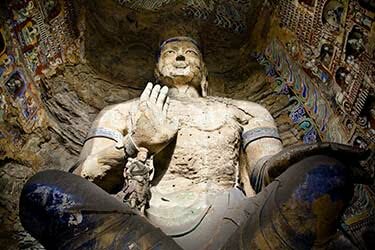 Step back into China’s indelible past on this insightful 4-day journey through Datong and Pingyao. 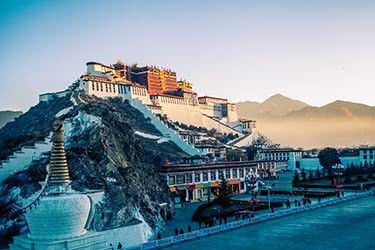 This luxury tour will take you to ancient monasteries and UNESCO-listed sites, including the Yungang grottoes, Shanhua Monastery, and the Nine Dragon Screen, while staying at the luxurious boutique Jing’s Residence. 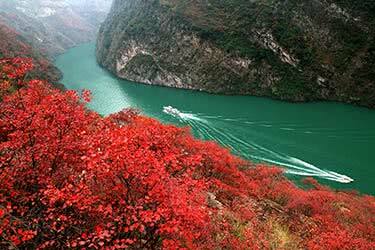 Meander in luxury down Asia’s longest river, the Yangtze, on this phenomenal 4-day boat journey that passes by some of China’s most stunning landscapes and fascinating cities, moving from Chongqing, past the Three Gorges Dam Project, and on to Xiling Gorge, being rocked to sleep at night aboard your cruise ship. 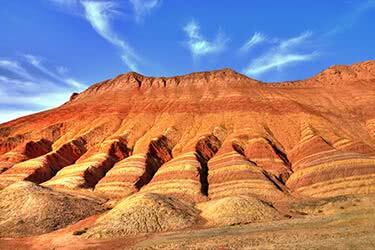 Experience a mesmerizing 8-day journey through China’s Qinghai Province. You’ll take in such epic sights as Qinhai Lake and Yellow River, as well as visiting the culturally-interesting Dredzong monastery and Jokhang Temple. interacting with local village people and learning about their traditions. 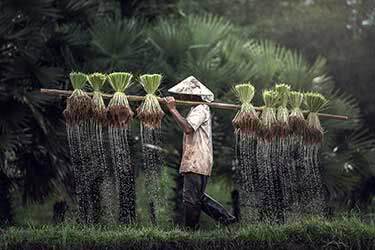 Take an incredible 19-day luxury journey through Vietnam and Cambodia, seeing local life in villages to big cities as you stop in Hanoi, Halong Bay, Sapa, Yuanyang, Lijiang, and Kunming. You’ll ride a traditional Vietnamese junk, make friends in a Black Hmong village, and wander through the Stone Forest. 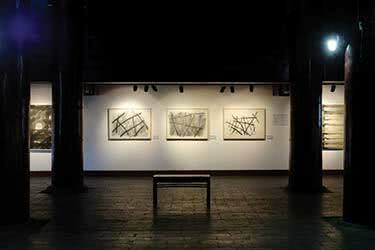 Immerse yourself in a stunning expanse of contemporary and historical artwork over this 10-day sojourn in China. From Beijing to Taipei, you will uncover modern artistic perceptions of one of society’s most ancient cultures. 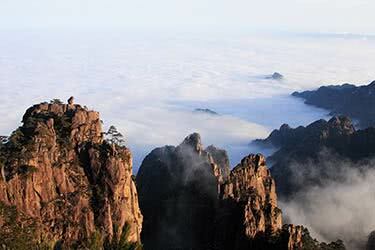 Take in some of China’s most breathtaking natural surroundings as you travel 14 days from Changbaishan to Zhangye Danxia, stopping along the way in the stunning valleys of Shangri-La, below the majestic Huangshan Mountain, and aside colorful geocliffs millions of years old, staying at luxury hotels along the way. 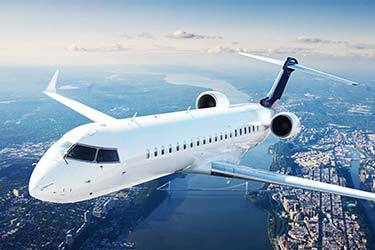 Spend 11 days traveling in sheer luxury as your private jet whisks you across China’s mountaintops. 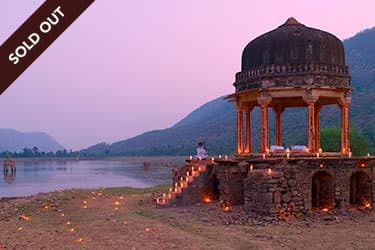 Starting in Beijing, you’ll discover the lush Shangri-La valley on the edge of the Tibetan Plateau, observe colorful cliffs in Zhangye Danxia, and stay overnight in luxury hotels like Banyan Tree and Songstam. 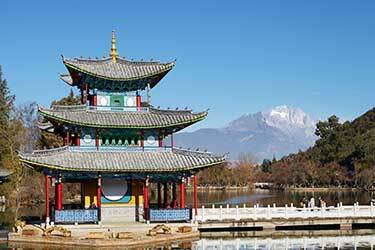 This 12-day luxury private jet journey tracing China’s ancient Silk Road is sure to leave you spellbound, as whisks you to historic and breathtaking destinations at your own pace. Hop from Xian’s Terracotta Warriors to the colorful cliffs of Zhangye Danxia, while sleeping in luxury hotels across the region. 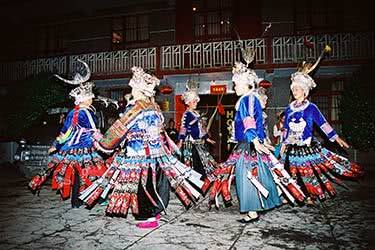 Gain some incredible insight into China’s ethnic and cultural diversity on this fascinating 13-day luxury journey. You’ll capture stunning panoramic scenes of the Li River, explore mystical caves, visit the Dragon’s Backbone Rice Terraces, interact with local minorities, and stay in luxury hotels like the Li-An Lodge. 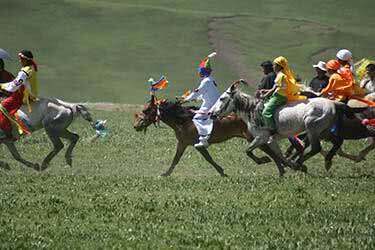 Experience the splendor and fun of Tibet’s iconic horse festivals. You’ll travel to rustic lodgings in Xining, Gonghe, Maduo, Yushu, Serxu, Derge, Xinlong, Litang, Danba, and Chengdu, as you check out key sites like the Great Monastery of Kumbum, Yellow River, Serxu Monastery, and the Yajiang Valley. Our Luxury Sales Manager Rick Lunt was enchanted by the charming villages of Anhui (Hongcun) and Wuyuan (Little Likeng).